SOUTHAMPTON, N.Y. — Shinnecock Hills is no longer the only challenge at this U.S. Open. 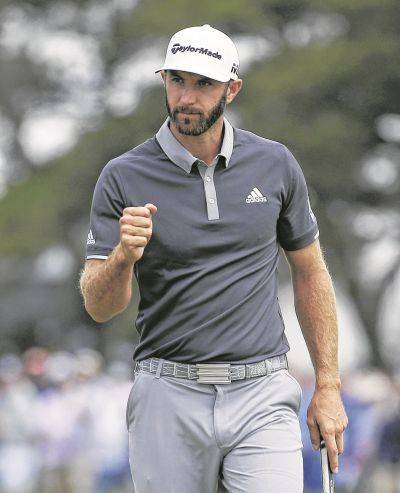 “You’ve got to play really good golf if you want to shoot a good score, and I like where par is a good score on every hole, no matter what club you’ve got in your hand, what hole it is,” Johnson said. Even so, there’s plenty of reminders of how it can all go wrong — some of them from Johnson’s own experiences, most of them from the final few hours Friday afternoon in perfect weather from those trying to catch him. “There’s a disaster on every single hole,” Ian Poulter said moments after he went through one. “I never want to make doubles,” Johnson said. “Around here, it seems like when I do get out of position, I’m just trying to do everything I can to get it back into position, not try to push it, and just give myself a decent look … something on the green where I can have a look at par.